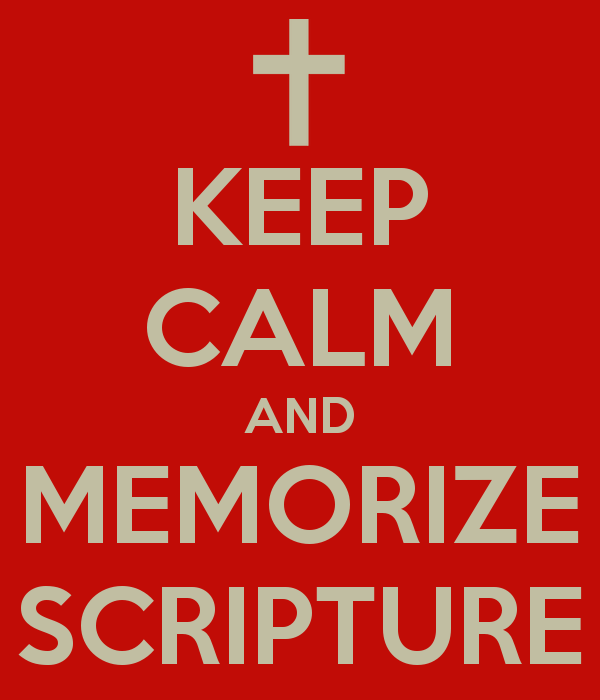 Earlier this week, I talked about a strategy for memorizing Scripture. Growing up, my family went to church several times per week. Studying and memorizing Scripture was highly valued in our faith community. As a teenager and young adult, I made a conscious decision to embrace the faith I had seen in my parents and other role models. Thus, the tradition of studying and memorizing Scripture became important to me personally. I have a friend who describes herself as “non-religious.” After seeing my earlier post, she asked a great question: What is the point of memorizing Scripture? As a kid growing up in church, I wondered the same thing. When I now recall the explanation given by my Sunday school teacher, I tend to snicker. It was the late 1970s. I was in early elementary school. Remember those black and white newsreels filmed during the height of the Cold War? The ones where school children practiced duck-and-cover drills in preparation for an atomic bomb explosion? My Sunday school teacher could well have been one of the school children in those videos. She told us that we should memorize Scripture in case the Communists came and took away our Bibles. Well, the Cold War has been over for about 20 years. Christians in other parts of the world are being persecuted, some with no access to Scripture. Others can’t read and the only way they can study Scripture is to first memorize it. But where I live, in a first world country, where some homes possess multiple copies of the Bible, why memorize it? I have found Scripture memorization to be valuable for two reasons. First, it comforts me. When I am anxious, Philippians 4:6-7 often comes to mind. When my husband recently lost his job and was scrambling to find another, Matthew 6:25-34 was especially meaningful to me. I could go on with more examples. The thing is, I don’t even think of those Scriptures – or the others that I’ve memorized – on a daily basis. Sometimes, I go for months or years without thinking of them. But when I am in need of comfort, certain passages that are especially appropriate to my situation come back to my mind. Second, I find Scripture memorization useful when talking to others about my faith. Whether they are fellow believers in need of encouragement or wisdom, or whether they are non-believers with questions about my beliefs, I often find myself referring to various Biblical passages. The bummer is that I haven’t spent as much time actually committing these passages to memory as I would like. I often recall that “somewhere, the Bible says such-and-such” but I have to go to my Bible and look it up. My relationship with God is the relationship I value most. It impacts my life on a daily basis. I memorize Scripture because my Bible offers so much instruction, wisdom, and encouragement to me. What about you? If you memorize Scripture, why? What’s the point?